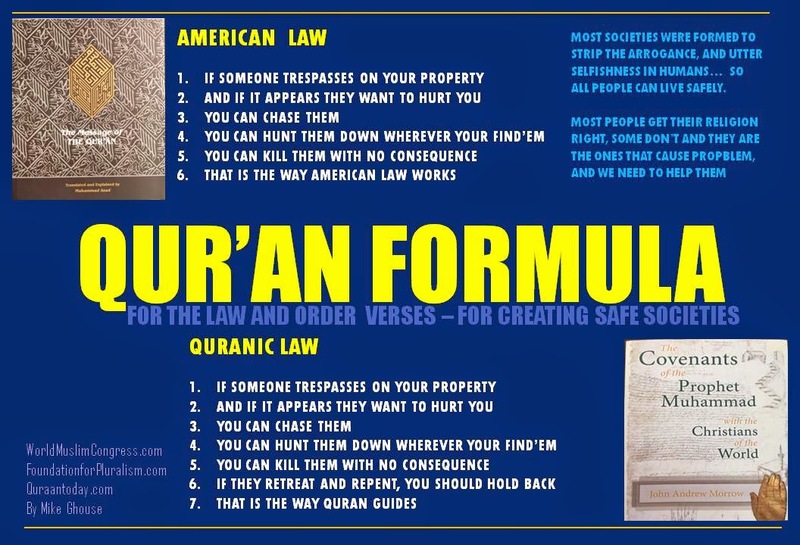 American Muslim Agenda - What is it? What is that Americans Muslims want? How close are they to what you want? What can they do about it? What are your issues with each other? If you are a conservative, grudgingly, you'll see the value in this book, and if you are a moderate, you'll dance and sing along with joy. You and I have a responsibility to create a world where, you, me, and our grandchildren can live without apprehensions. No matter we go, we should feel secure about faith, race, ethnicity, culture and our political and sexual orientation. Would the book American Muslim Agenda bring attitudinal change among Muslims? Yes, it will, it’s akin to planting seeds and nurturing it to give the beneficence to the next generation. I know most American Muslims will wholeheartedly subscribe to the refreshed understanding of Islam, we need to expand it to more Americans. Some of the reservations we have about Muslims and Islam are based on what we have heard from our parents, teachers, clergy, favorite media people and others. We need to find the truth on our own and find freedom from misunderstandings. It is a blessing to be free. Muslims have shied away from confronting difficult issues about their faith, and most of them don't even have a clue about the essence of Islam, it was never articulated before in the history of Islam. A few medieval scholars have reduced Islam to rituals, five pillars, dhimmi, jizya, sharia, externalities, and enforcement of your rules on to others. That is not Islam, and most Muslims can recite verses that Islam is about free will. God uploaded free will into Adam’s DNA, and emphasized it in the Quran, the prophet practiced ‘freewill’ and established examples for it. Sadly, Muslims know the truth but were bullied into silence with fatwa bombs. All I have done is articulated what Muslims believe, but dared not say it. The book is the voice of the majority of ‘American’ Muslims. 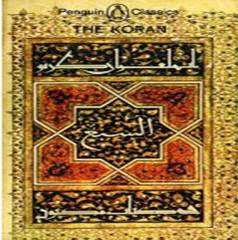 This book is a product of twenty years of research and thousands of discussions in which Muslims, non-Muslims, and “Islamophobes” have participated in it, including debates on Fox News with Sean Hannity, Stuart Varney, Pamela Geller, Brigitte Gabrielle, Robert Spencer, Jamie Glazov, Raymond Ibrahim, Walid Shoebat, Wafa Sultan, and several others. Islam is about living your life and letting others live theirs. Islam is about building cohesive societies where all of God's creation lives with dignity and freedom. In God’s universe, we are merely a speck, and no one is more privileged than the other. If you are a moderate individual of any faith, you will find the book in tune with you. It is time to go beyond the five pillars of Islam, and I hope the Imams and Muslim scholars who are free thinkers would appreciate the contents of the book. This book may indeed become a reference manual for teaching Islamic values that contribute to creating a better world for all humanity. The American Muslim Agenda offers guidance to Muslims to be one with all, and it voices what Muslims believe and live with and empowers them to live their lives and let others live with free will. The book opens the door to people of other faiths to shed their biases and join hands in creating a world of safety, security, and harmony for all humanity. Islam is a public religion, and Muslims don't own it exclusively. You are invited to participate in discussions, including your faith. The book is expected to initiate conversations about the nature of Islam and fellow humans. I welcome your criticism (after reading the book). You can get the book by calling 1-888-795-4274 x 4528 or get it from Amazon online or a book store. You can find the talking points at www.AmericanMuslimAgenda.com. A few questions are answered here; why do we celebrate on different days? What is it with the Moon? How do you greet Muslims on this day? What kind of culinary delights are out there? How do Muslims celebrate in different parts of the world? Ramadan TV Commercials? A bit of politics too. I urge Muslims around the world to take a minute to stop and appreciate the men and women who serve our nation, police, firefighters and others who are out there for the safety of individuals and families. I have done this time and again, and I always remember the Louisville experience, where the police officer asked me to forward the email to him, asking Muslims to appreciate them, and after the Eid prayers, he had forwarded it to many police officers. I urge Muslim organizations to issue a press release to this effect, and this is our appeal from the World Muslim Congress, a think tank committed to building a cohesive America. Pluralism is alive and kicking in Islam – i.e., respecting the otherness of others! Indeed, there are many schools of thought, and the good clergymen always point out the different traditions, Dr. Imam Kavakci, one of the leading Muslim Scholars, always advised on that basis. It is up to the individual to follow what he or she is conditioned or comfortable with. The non-pluralistic Muslims resort to name calling the others who take a different path. But all of them celebrate the festival. A month-long fasting should clean up our bodies, hearts, and souls, it means you are no biased towards anyone, you have no wall between you and another human and that you are committed to peace and harmony. What others do to you does not matter, but how you behave towards others is all that matters in making America great again. By the way, I am an independent, and not a Republican or a Democrat and I am a Pluralist Muslim, like a majority of Muslims – i.e., respecting the otherness of others, and accepting the God-given uniqueness of each one of his beautiful creation. When is the Eid? Ramadan Celebrations? Is it Friday, Saturday or even Sunday? For some, it will depend on when the moon (first day) is sighted. Pluralism is alive and kicking in Islam – i.e, respecting the otherness of others! Indeed, there are many schools of thought, and the good clergymen always point out the different traditions, Dr. Imam Kavakci always advised on that basis. It is up to the individual to follow what he or she is conditioned or comfortable with. The non-pluralistic Muslims resort to name calling the others who take a different path. But all of them celebrate the festival. Since the beginning of Islam, there have been debates as to what constitutes moon sighting. Some interpret that there has got to be a minion to declare that they have seen it themselves with their own eyes, while others do not accept it unless they have seen it themselves. It is also acceptable if the moon is sighted elsewhere, but now, each group has to have their own moon sighting. In the United States, there is an organization that monitors moon sighting and announces it in advance. Over the millennium we learned to accept and respect the otherness of other. Politics plays a crucial role in our Temples, Synagogues or Churches, Mosques are no different. A few scientifically-inclined-Muslims have adopted NASA’s calculations believed to be precise. However, four different traditions are operating concurrently; i) Strictly Calendar, ii) NASA iii) Sighting with bare eyes and iv) sighting by others in the community. The NASA-oriented and the Calendar-group miss out the fun, joy, and exhilaration of waiting and watching the needle thin moon on the horizon. The whole family gets out on the rooftops, or higher grounds, some even climb electric poles, and a few will drive out where they can see the sky without obstacles, kids would climb on parent’s shoulders, and a few go from place to place shouting in excitement, did you see it? It is like the belief in Santa Claus, Angels, and other myths, each tradition fulfills one’s emotional needs and every one becomes sentimental. After all, if celebration does not have the excitement, it is not a celebration. America’s spirit of freedom touches every soul, no matter what religion or tradition they follow. American Muslims are no different, they prefer to have a pre-set date to start fasting and the celebration called “Eid” pronounced as Eeed as in Eeel. The idea is for them to take a day off from work or get an optional day off for their children from the schools. Always, the joy multiplies when the family and friends celebrate it together. They prefer to start on a pre-set date and trust the calculations. The conflicts are the same everywhere on the earth. Each group subscribes to one of the four systems mentioned above. America is no different; you will find celebrations on one or three different days in any given city, the Sunnis, being the largest group has the greater division within, while the Sufis, Shias, Ismailis, WD Mohammad, Bohra and Ahmadiyya follow the pre-determined dates. The consensus may be attributable to having central spiritual leadership in all groups except the Sunni. However like the American Public wishes to see the Republicans and Democrats drop the party lines and focus on what is good for America, the Muslims also wish they could celebrate the Eid on one single day. It ain’t going to happen, it is human to differ. It is against the spirit of Ramadan to denigrate, diminish and devalue other practices. The essence of Ramadan is to become humble, simple and free from ill-will, anger, meanness, and hate. Let’s fill our hearts with goodwill and honor Ramadan by saying “Eid Mubarak” or Happy Eid to everyone who celebrates on a different day in the same town. The essence of Ramadan is joy and let’s not prick the bubble; God has not signed a pact with anyone behind other’s back to favor one and disfavor the other. Let’s allow God to be an honest God who is just, kind, merciful and loving as Quran says. Let’s rejoice the differences of interpretations. If you want to celebrate every day, go to every celebration. In the spirit of Ramadan, I pray that Ramadan gets into our hearts and minds and make us embrace all factions of Muslims without undermining their tradition and further pray that we treat every human on the earth with dignity, respect, and care. The Shia-Sunni conflict we see in Iraq is new to both groups of Muslims, conflicts have always been there but the violence in conflict took birth after we (The Americans) invaded Iraq and sowed the seeds of division. Shamefully, the Shia and Sunni played it out. Our short-sighted foreign policy is pitting Saudi Arabia against Iran. Iran is not a threat to anyone, it is the false propaganda by Netanyahu, and salesmanship of defense contractors to sell Arms to Saudi, and the stupid Saudi monarchs have bought the idea, I wish we can sell peace and democratic education that will benefit us all in the long haul. I wish, the leadership of these two nations make a bold move and meet in Singapore and hash out the differences. I also wish in the spirit of Ramadan, the Pakistani people will wake up and correct the ugliness in their constitution that shamelessly discriminate Ahmadiyya Muslims. Above all, I wish Muslims chose to follow the foundation of Islam; Amin, that is caring for every human being and seeking peace and harmony by respecting the otherness of others. I urge Muslims around the world to take a minute to stop and appreciate the men and women who serve our nation, police, firefighters and others who are out there for the safety of individuals and families. I have done this time and again, and I always remember the Louisville experience, where the police officer asked me to forward the email to him, asking Muslims to appreciate them, and after the Eid prayers, he had forwarded it to many police officers. You can also read “The Rituals of Ramadan” followed by the “Spirit of Ramadan”. Usually, Arabic Speaking people call it Ramadan, all others call is Ramzan, both are acceptable terms. If you know the greetings in any other langauge, please send an email to MuslimVision2020@gmail.com to be included for the next Eid. The first Quran was translated in the year 1142, and it was commissioned by the European Kings to Paint Islam as a bad religion, and they frightened their subjects that Muhammad was going to slaughter the people of Europe if they don't stand up against the advancing Arab armies. The work was carried out by the French Abbey for a fee. They coined word the word "Mohammedan" religion for Islam. It is a big story I would like to tell, as it is easier than writing it out. Please read the full story with many videos and write-ups at www.QuraanConference.com. 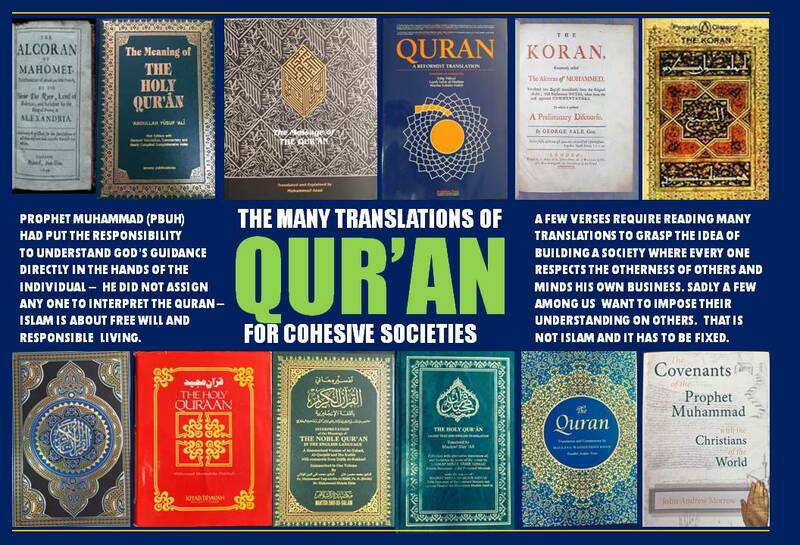 Quran is a book of guidance in building cohesive societies where no human has to live in fear or apprehension of the other; it is as simple as that. I usually refer to at least 5 different translations to get the essence of a single verse, and of course, our formula to understand the Quran is to read three verses before and three verses after a given verse to understand the context and meaning behind the verse. However, every faith including yours has a % of people who do things that go against the very teaching of the faith they claim to espouse. That is an insignificant number and less than 1/10th of 1% of any group. Over the years, I have collected about 20 different translations for reference. A few are in this picture. I have also visited the Library of Congress and checked Jefferson's copy of Quran translation by George Sale. Over and over you hear it said: If Muslims oppose terrorism, why don't they stand up and say it? If that has been you, Mike Ghouse ought to be your hero. It is hard to imagine that anyone has worked harder than the Carrollton resident to demonstrate the peaceful and moderate side of Islam. And that effort includes personally visiting Dallas' First Baptist Church last Sunday just to put a friendly face on the "evil, evil religion" that the Rev. Robert Jeffress denounced a few weeks before. "It was wonderful," Ghouse said of the visit. "We were so warmly received." He hopes a quick chat with Jeffress will be the start of a deeper discussion about Islam and the importance of respect between religions. "I want to have a dialogue with him, not to say he is wrong but to share another point of view," Ghouse said. The 57-year-old Muslim was born in India and has lived in the United States for 30 years. He owns a small property management firm. But most of his day is devoted to building bridges between people of different faiths. "It is my passion," he said in his distinctive raspy voice. He has been a guest a dozen times on Sean Hannity's TV and radio talk shows. "I don't like the way Sean cuts me off, but I have to honor him for giving the American public a semblance of another point of view." Ghouse said he can understand fear and criticism of Islam because he went through a time of similar feelings. As a teen, he was troubled by passages of the Quran. He called himself an atheist for a while. But he said deeper study led him to realize the Quran had been purposely mistranslated down through history. In the Middle Ages, European leaders commissioned a hostile Quran translation to foster warfare against Muslim invaders. Later, Muslim leaders produced another translation to inflame Muslims against Christians and Jews. "It was all for politics," he said. Ghouse said he hopes to present Jeffress with a modern, faithful translation and challenge him to find evil verses. "If he can, I will convert. I will join his church," Ghouse said. "If he can't, I will call on him to retract his statements and become a peacemaker." Ghouse acknowledges that deep problems persist within Islam. "Three steps forward, two steps back," he said with a sigh. And he agrees that mainstream Muslims have not done enough to counter violent images of their faith. "That is very true," he said. "But part of it is that many Muslims have given up hope that we will ever be heard." He said repeated denunciations of terrorism seem to fall on deaf ears. And some efforts have backfired – like the proposed Islamic information center in New York. He said it should be hailed for furthering the moderate Muslim cause. Instead, it has deepened hostility toward Muslims. I have been astounded by the amount of anti-Islam propaganda that circulates via e-mail. Tons of it has come my way in the last few weeks. 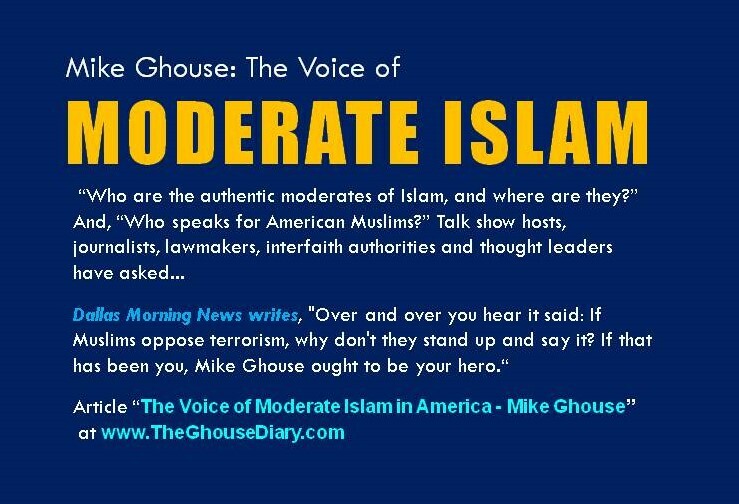 One theme is that people like Mike Ghouse can't be trusted, that Islam encourages deception. But Ghouse says actions speak louder than words. And he points to elections in Muslim nations. More than half of Muslims live in countries with some degree of democracy. And time and time again, Islamist parties are overwhelmingly rejected in favor of secular, mainstream parties. "The religious parties don't get more than 3 percent of the vote," Ghouse said. Polls show deep mistrust of Muslims. "But the most important question in those surveys is: ‘Do you know anything about Islam?' " Ghouse said. "Most people say no." What keeps him going is faith in Americans, he said. "The majority of Americans, if they know the truth, they will change their minds." Mike Ghouse is a speaker, writer, thinker, futurist and an activist of Pluralism, Islam, India and Civil Societies passionately offering pluralistic solutions on issues of the day. 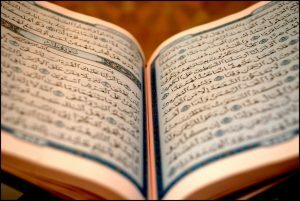 The purpose of this blog is to clarify the misunderstandings about Qur'aan. Qur'aan is the word of God, and God is about Justice and peace. It is his creation and he certainly wants harmony and co-existence and a balance for his creation. Qur’aan is in Arabic language and every word of it is preserved through the process of memorization over a period of fourteen centuries. Every t and i are checked thoroughly to ensure its accuracy. As the curiosity to learn about Islam arose, translation work began. Since, translations hinge on one's understanding of God's words, three versions were produced; Genuine translations, ill-translations and mis-translations. The first known translation was made in 1143 CE upon the request of the Abbot of monastery and abounds in inaccuracies, several translations have occurred since then multiplying the errors. European knowledge base on Islam is founded on mis-translations. Most of the Christian and Jewish scholars draw their knowledge from it and propogate the same for material gains. The European and American Islamic Scholars need to add a refresh button to their knowledge. To you, the common man, who has access to the translation in English, you are genuinely confused, which one is the right one. Apply the litmus test: Does the translations build hatred and ill-will in you, then it is the wrong one. On the other hand if it causes you to think in terms of harmony and co-existence, you got the right one. Today we have about 22 translations on the net; many are closer to the word of God and some are not. It is upto you to find the truth. Falsified Translation: Hilali Khan - it is the free Qur'aan you pick up in the market. It is hateful towards Jews and Christians. Quran is a book of guidance to live in peace with oneself and with what surrounds him or her; life and environment. It is designed to create cohesive societies where no human has to live in apprehension or fear of the others. Most people get that right and few don’t. That is the case with everything in life. Quran is never the problem, it is our understanding that is the problem. If it is not common sense, then it is not Islam. There is no translation that is accurate and captures the essence, but the closest one is the translation by Muhammad Asad. God wants his creation to co-exist in harmony and the Qur’aan is God’s guidance to live in peace with oneself and what surrounds one; life and matter. The human weakness manufactures imaginary enemies, so did the European Medieval Kings in the 11th century, who paid to deliberately mis-translate the Qur’aan for their obvious gains, they duped the public then, and most of non-Muslim Islamic Scholars today are doing the same thing. Hilali Khan, a Muslim also mistranslated the book to appease his extremist friends, that is the free copy you may have it in your hands. Just remember God wants goodness for his creation, every one of it, then read Qur’aan in that light. Mohammad Asad’s translation is recommended at this time until a good one comes along where any one on the earth can read it and feel that God wants all of us to live in peace and harmony. Finding the truth is your own responsibility. Another Latin translation by Ludovicus Marracci was published in 1698. 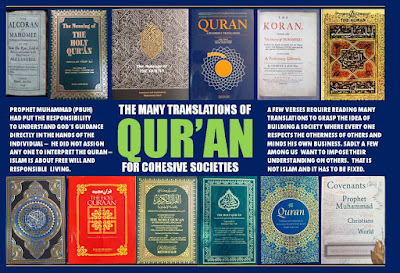 It was supplemented with quotes from Qur'an commentaries "carefully juxtaposed and sufficiently garbled so as to portray Islam in the worst possible light" (Colin Turner,1997 p. xii). The title of the introductory volume of such translation was A Refutation of the Qur'an. Such translations formed the foundation for a number of subsequent translations into English, French, Italian, German, etc. The first English translation was that of Alexander Ross published in 1649. In his introduction, Ross says "I thought good to bring it to their colours, that so viewing thine enemies in their full body, thou must the better prepare to encounter … his Alcoran" (p. A3). Similarly, H. Reckendorf (1857) says in his Hebrew translation of the Qur'an, "I can now stop writing and ask God's pardon for the sin I committed when I profaned our sacred language and transferred to it the talk of lies and falsehood" (as cited in Abdul Aal, January 29, 2006, p. 78). 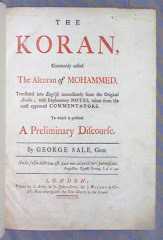 In 1734, George Sale’s translation came out based on Marracci’s earlier notorious work. In 1861, J. M. Rodwell’s work provided a further example of a writer "gunning for Islam" (Turner, 1997, p. xii). You may discover to your chagrin, that many of the Neocon Doctors on Islam have built their castles on wrong foundation. In fact Pat Robertson, Jerry Falwell, Billy Graham Junior's information on Islam comes from these falsities. When the European Kings were attacked by the invading Arab Armies, one of the ways they could get their subjects to defend their Kingdoms was through a campaign of hate. They roped in the pope to issue a fatwa against 'infidel' Muslims, then paid the evil writers to mis-translate the Qur'aan with the intent of enraging the good Christians to go on crusades to kill the infidels. This is one part of the equation, the second part is even the Arab Kings had the Qur'aan mistranslated to enrage Muslims against the other infidels. Check out the Hilali translation in the title Bismillah on this Blog. Neither Islam nor Christianity would have approved any of the non-sense of crusades, inquisitions and other massacres. It was all done to protect and annex the lands that belonged to each other. I wish the average Christians and Muslims had not fallen into the trap of hatred for the gains of the dead Kings and today's virtual Live Kings with similar goals of controlling resources with no care for their faith or human lives. It is time for the humanity to go for the truth. All religions were issued by the creator for the individuals to find a balance and peace for themeselves and with other humans and environment. The truth is all religions are for the good of mankind, where ever you see wickedness, it has the non-Godly element in it.